Unless you’ve been living under a rock for the last 50-years you have likely heard of Motorola. Motorola got its start in innovative communications and electronics back in 1928. Along the way Motorola has achieved a great deal of success, far greater than anyone could have ever hoped for when the company first opened shop. 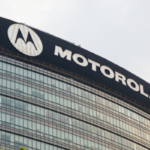 Motorola’s humble beginnings started with two brothers, Joseph and Paul V, who originally incorporated the company as the Gavin Manufacturing Corporation, in Chicago, Illinois. Their very first product to hit shelves was a 1928 battery eliminator that allowed household electricity to run a battery-powered radio. Sears was the first company to purchase the product for retail in their stores. Soon after Motorola experienced its first taste of success, along came the Great Depression. When the stock market collapsed, the brother’s company nearly crashed too. Thanks to Paul Gavin’s idea to create an inexpensive car radio the company was able to find solid footing during a time when few others could. Today Motorola is still going strong, as they continue to provide customers with exactly what they are looking for. When it comes to two-way radios, Motorola is considered one of the leading brands in the industry. The company is constantly innovating new ways to make communication faster and more accessible when it is needed most. Motorola’s radio system MOTOTRBO is reliable, clear, and includes integrated data communication. 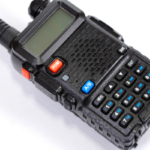 MOTOTRBO meets the rigorous ETSI DMR Tier 2 standard for both UHF and VHF frequency bands. Government organizations, big businesses, and small businesses all rely on Motorola two-way radios to achieve a job well done. Motorola’s wide variety of radio models promises something for everyone, from the most basic two-way radios to more technologically advanced models with added capabilities. For instance, the CP-200d is one of Motorola’s more basic two-way radio options. Even without a screen this particular radio has been an industry favorite with customers for years. The latest version of the CP-200 includes increased communication flexibility, push to talk ID, and selective calling. If you are looking for something with more bells and whistles, the XPR-7550 by Motorola might do the trick. This radio has every last feature available in the radio industry, including a full color LCD display screen, GPS and Bluetooth capabilities, as well as a rigid design. Despite having all of these high-tech add-ons, this radio still promises the same durability as always. For something more middle of the road there is the Sl-7550 radio by Motorola. This sleek and stylish radio offers a full color screen, but no Bluetooth or GPS. Made to look more like a smartphone than a radio, this heavy-duty model is great for a wide variety of industries. The overwhelming majority of Motorola customers are very pleased with this brand of two-way radios. Commonly cited features that customers enjoy most include awesome sound quality and ease of use. The battery also has a nice long life thanks to advanced charging technologies. Two-way radios are often used in emergency situations and so having a battery you can rely on is really important. The largest issue customers face with Motorola radios, and any two-way radio, is signal strength issues. Yet, with the right radio connection and service you should not encounter these same problems. For industries that need to communicate over long distances, a Wide Area Network provides crisp, clear communication even across different counties. In the 1930’s Motorola created the first ever car radio, as well as public safety networks. In 1969, Motorola was responsible for transmitting the very first words ever sent from the moon. In 1983, they created the first commercial handheld cell phone, as well as a handheld scanner. In 2011, Motorola teamed up with the state of Mississippi and created the first statewide public safety network using broadband LTE in the United States. Motorola isn’t through innovating; the company remains dedicated to crafting the highest quality products on the market. Motorola strives to provide technology that is easy to use and reliable so that users don’t have to worry about technology, and can just focus on their job. 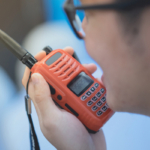 The industries that use two-way radios the most don’t have time to waste fussing with poor connections or malfunctioning hardware. That’s why Motorola has remained an industry leader for so many years. With such a wide variety of two-way radios to choose from, there is truly something for everyone. 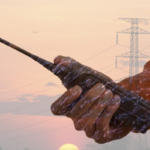 Highland Wireless is a leading certified provider of Motorola two-way radios.